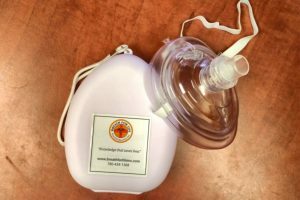 Breath for Life carries a variety of safety products for your first aid needs. 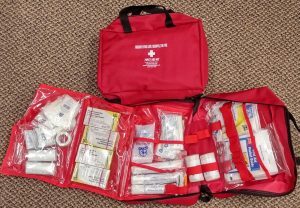 The First Aid Kit is rated as an OH&S Level 2 Kit. It conveniently unfolds, giving you the opportunity to grab what you need easily without hassle. The kits are portable and light weight. The mouth to mouth barriers are durable and can be used in any temperature. You can clip it onto a key chain for immediate access. 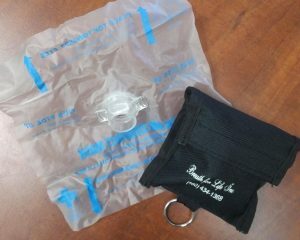 Breath for Life also sells stethoscopes, blood pressure cuffs and penlights.